Tired of having the same old event at Disneyland? Senior graduation night (Grad Nite) is one of the most important times in a young adult’s life. Help maintain school spirits and have your graduation night at your school. Let Los Angeles PartyWorks help celebrate all the hard work the students have put into their education. Your event needs to be memorable and we can help you do just that. 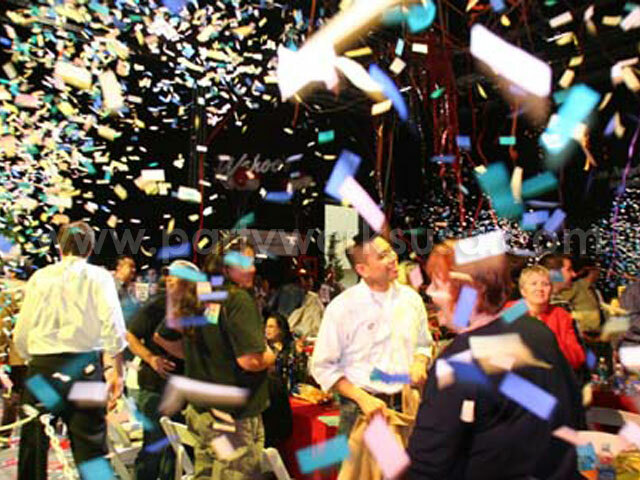 We offer a wide variety of interactive entertainment game rentals and decor for your party. We service the entire Southern California from Orland to San Diego. We are fully insured. Nipomo High School, Harvard Westlake, Wilshire Boulevard Temple, Buckley, Temple City, Warren High School, Hemet High, Long Beach PolyTech, Agoura High School, La Canada High School, Orland High School, and Corona Del Mar High just to name a few high schools that let us help make their events spectacular. Pick a theme for your grad event and we will tailor our decor, music and entertainment equipments to match your theme. 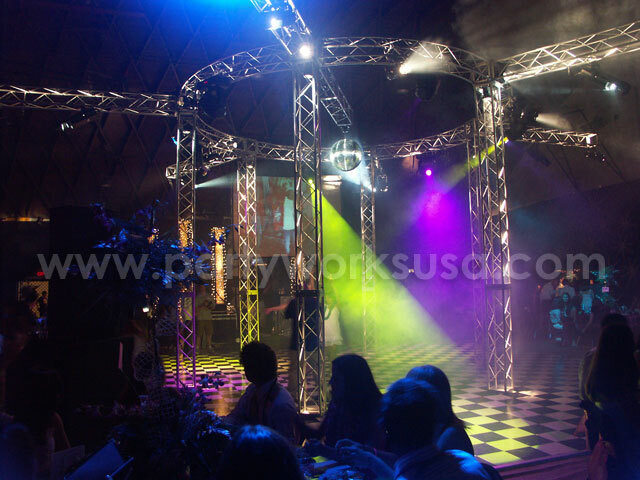 We have many entertainers that will add different elements to your party. Entertainers from strolling magician, DJ, game master, henna tattoo and airbrush artist, flame breather, exotic animal trainer and much more. Video Arcade Games: Video arcade game machines are great to include at your event. Most high school age students play video games daily. This will give the “shy” guests an alternative to dancing or activities some people may not be comfortable participating in. Two of the newest additions are the compilations of Guitar Hero and Rock Band. 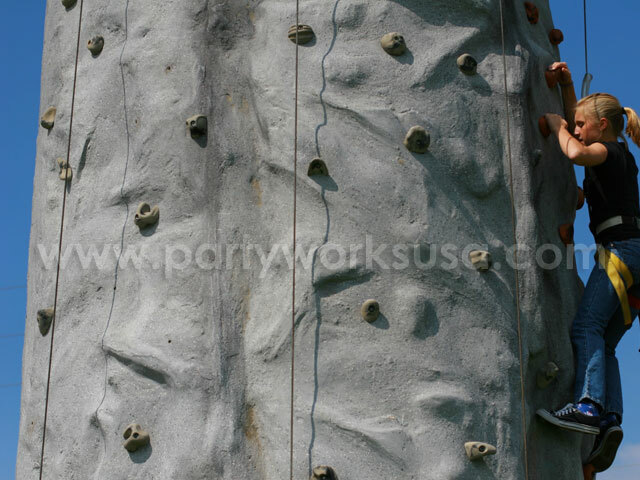 Rock Climbing Wall: Rock Walls look spectacular and provide a competition for those looking for a challenge. Inflatable rock walls and hard surface walls are available. For a tropical, Polynesian, Hawaiian, or beach theme party, the Tiki Island is an excellent choice. It features two independent auto belays for added safety. Carnival Games: Carnival games are great for a carnival theme grad party by adding a fun look, plus adding a challenge that rewards the graduates. 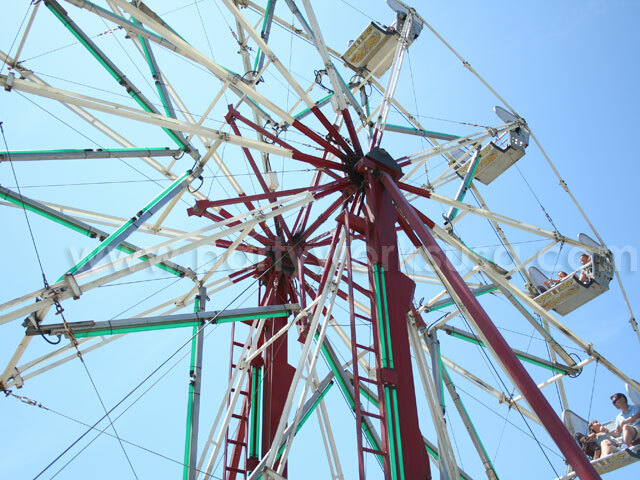 In addition to the traditional carnival games, dunk tanks and high strikers add to the carnival feel and experience. Mechanical Bull: This one’s popular! 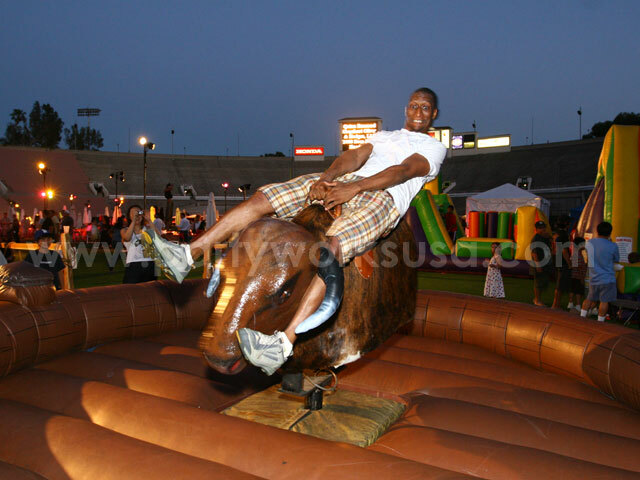 Mechanical Bull is one of our most highly requested ride rentals for sober grad nights and after prom parties. Giant Inflatable Slide: Great for all ages! Our inflated slides come in many different sizes and themes. 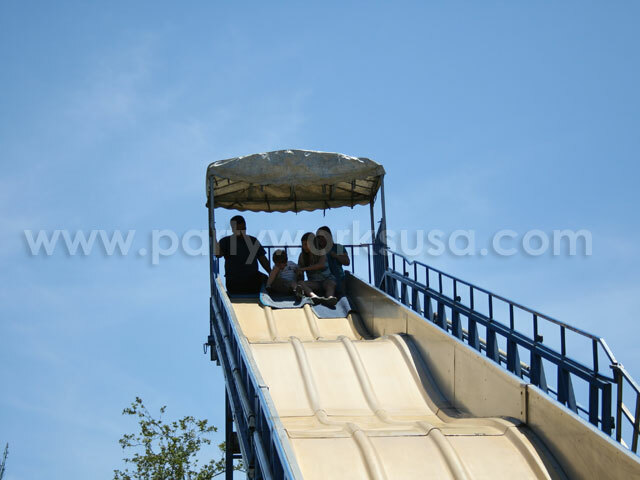 Check out the Space Shuttle Slide for a slide that is out of this world! Inflatable Obstacle Course: Another challenging inflatable item that creates a fun competitive environment. 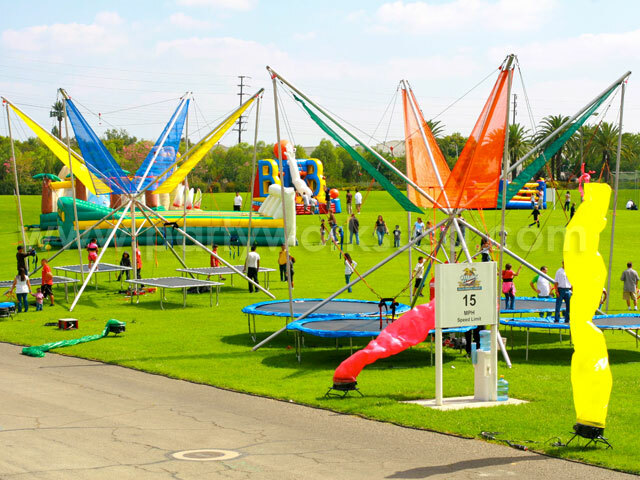 Obstacle Courses are among our most highly requested inflatable games. The shear size of some of these obstacle courses makes a great crowd pleaser and provides a fast paced activity to accommodate to high volume of people. Many themes and sizes available. Interactive Games: Velcro Walls, Sumo Wrestling Suits, Giant Boxing Gloves, Bungee Runs, Virtual Reality…you name it, we have it…and some! Photo Booth: No graduation party is complete without a Photo Booth. This gives your guests a great keepsake they can show off to friends and family. Table Games: Choose from a large variety of popular table games, including pool tables, air hockey tables, foosball tables, dart boards, ping pong tables and many others.